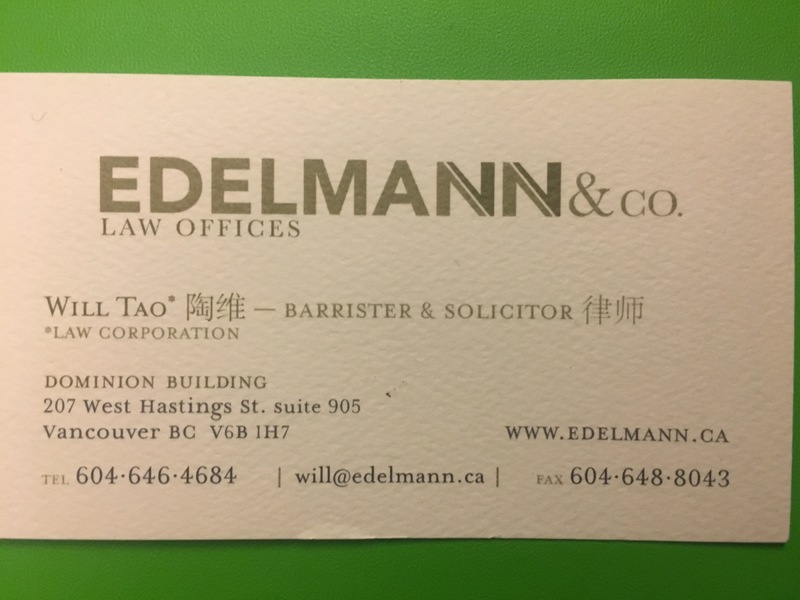 In Zhang, the client (my client) attended an in-Canada spousal interview with former counsel and as well with an interpreter who former counsel had assumed was certified, but was actually not. In-Canada spousal interview have a heightened level of procedural fairness. Only a few cases to through to this interview stage. Without appeal rights, this interview serves as the final decision, and often with clients that have status issues, a refusal could be a trigger point for enforcement and possibly long-term separation. While Justice Phelan did not rule our way, I found it interesting how this case and my recent experiences with my new Firm have really opened up my eyes to interpretation and the importance of certified interpretation. Interpreters can truly make and break cases. Even for something as seemingly simple as a client consultation (and where you yourself may have a working understanding of the language), having a certified interpreter present is crucial. Even where an assistant may be fluent in a language, having an independent certified interpreter available to provide accurate accounts and swear required affidavits. I have seen in too many cases the haphazard signing of affidavits in the English language where the affiviant has little clue of the content. The case law around interpretation, from my preparation on the file, is very scattered. I won’t go into too much detail here, but it appears that it is only in cases where Tribunals or Government’s are providing the interpreter, where the interpretation is not clear and contemporaneous, and where the Applicant attempts to draw this to the attention at the earliest possible time that procedural fairness/Charter rights are ultimately triggered. The Applicant has a right, under section 14 of the Charter, to continuous, precise, competent, impartial and contemporaneous interpretation. The Applicant is not required to show that he has suffered actual prejudice as a result of the breach of the standard of interpretation in order for this Court to interfere with the decision of the Board (Mohammadian v. Canada (Minister of Citizenship and Immigration), 2001 FCA 191 (CanLII),  4 F.C. 85 (C.A. ), leave to appeal dismissed,  S.C.C.A. No. 435 (QL) ; R. v. Tran, 1994 CanLII 56 (SCC),  2 S.C.R. 951 ). … The applicant had sufficient time to obtain an interpreter, but chose not to. The risks associated with this choice were spelled out in unequivocal terms and the applicant chose to assume these risks. I would add that the onus placed on the applicant to provide an interpreter has been upheld by this Court (Kazi v Canada (Minister of Citizenship and Immigration), 2002 FCT 733(CanLII) at paras 16 -18,  FCJ 969). When it became apparent the applicant was having difficulties understanding and answering the immigration officer’s questions, for the benefit of the applicant and though she was not required to, the officer offered to invite a colleague to interpret. The applicant agreed to this suggestion of her own volition and cannot now question the quality of this interpretation when she was well aware of the consequences of not arranging for her own professional interpreter. Furthermore, it is well established law that where there are translation problems, the complainant must raise the problem at the first reasonable opportunity (Oei v Canada (Minister of Citizenship and Immigration), 2002 FCT 466 (CanLII) at paras 40 and 42,  FCJ 600; Kompanets v Canada (Minister of Citizenship and Immigration), 2000 CanLII 15377 (FC),  FCJ 726 at para 9, 196 FTR 61; which the applicant did not do in this case. I don’t change my own legal position (that I presented) that this requirement should run both ways. For an Applicant who does not speak English and a Counsel who does not speak the Applicant’s first language, interpretation is a complicated exchange. I do believe that there needs to be a clear instruction to IRCC Officers that if the interpreter is not qualified and upon confirmation that this was not a bad faith error, that the Sponsor and Applicant should be fully advised of the fact and asked to sign a document either confirming a new appointment or waiving the requirement for certified interpretation. This level of heightened procedural fairness is consistent with IRCC’s position at the Port of Entry. When making a decision on admissibility, the border services officer needs a reliable and trustworthy interpreter in order to be sure that information provided by the client is accurately translated. Inaccurate translation could result in a decision based on misinformation, which is detrimental to the person. This would constitute a breach of natural justice. Information obtained at examination is often used as evidence in admissibility hearings and, less frequently, in criminal prosecutions. If a competent interpreter is not used, the evidence can be discredited or rendered inadmissible. All immigration decisions relating to admissibility are subject to judicial review by the Federal Court. The Federal Court reviews the fairness of the process leading to the decision and will strike down any decision based on evidence obtained through an interpreter whose competency is in doubt. Not ironically, in a June 2018 update not long after my case was published, IRCC put an additional section regarding complaints about an interpeter. Complaints regarding interpreter competency or comportment can generally arise before, during and/or after the interpretation services are delivered. The complaints could range from no-show or last-minute cancellations, to poor interpretation, to after the service when the interpreter could engage with clients and claimants in communication that could be a ground for conflict of interest. Authorized IRCC users and clients/claimants must raise concerns with respect to interpretation during the course of the interpretation service, at the first opportunity, unless there are exceptional circumstances for not doing so. Where concerns arise regarding interpreter competency based on information that only became available after the service is rendered, the authorized IRCC user should discuss these with an interpreter as soon as possible. It is so very crucial for counsel to clarify that their interpreters are properly engaged. I strongly recommend familiarizing yourself with the STIBC (https://www.stibc.org/). Hopefully, with more counsel utilizing interpretation and clients realizing how important this additional $50 dollars an hour (or so) could be to their immigration cases, that we reduce the types of mistakes that could have devastating impacts, particularly on those without financial means to seek legal support and advice.